In my opinion, Valentine’s Day is one of the most fun holidays! You get to give cards to all of the people you love, eating chocolate is so acceptable, and it’s a great time to show that special someone how much you appreciate them! Another thing I love about Valentine’s Day is the “eye-candy” of reds, pinks, and hearts everywhere! Such a refreshing change from gray skies and leafless trees this time of year! 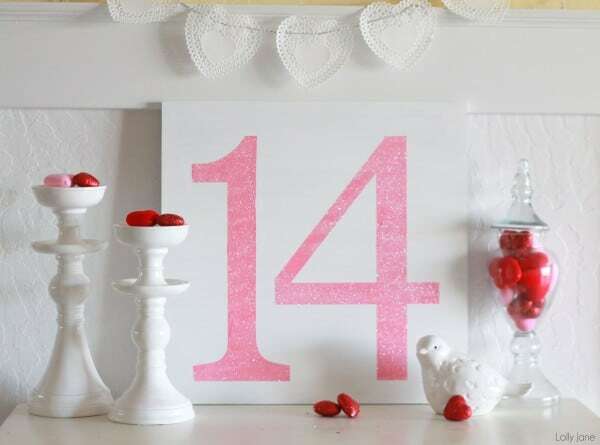 I’ve put together a post of the 7 BEST DIY home decor ideas for Valentine’s Day! These bloggers, in my humble point of view, are absolute rock stars! I have “liked” all of them on Facebook because I just don’t want to miss any of their posts. 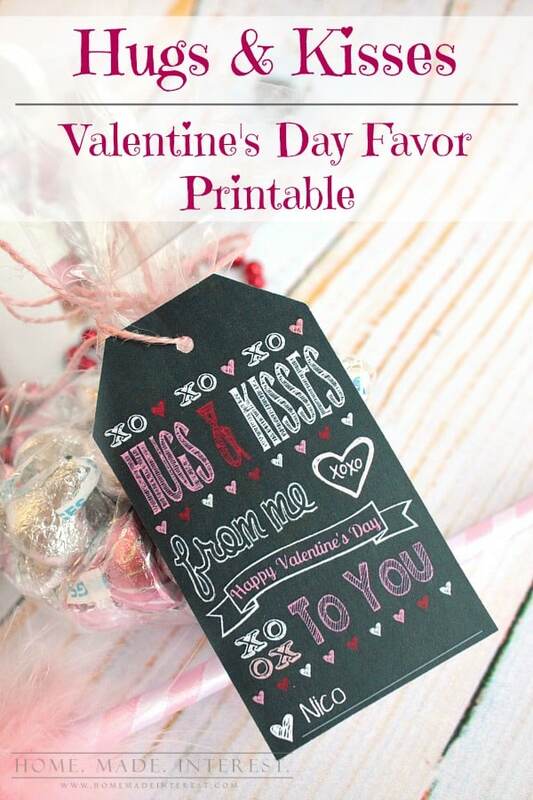 Valentine’s Day Printable Gift Tag from Home. Made. Interest. The girls who write at Home.Made.Interest are our homies. They are SO much fun, and they have taken this blogging thing and sprinted with it! Love them! And, love this idea! 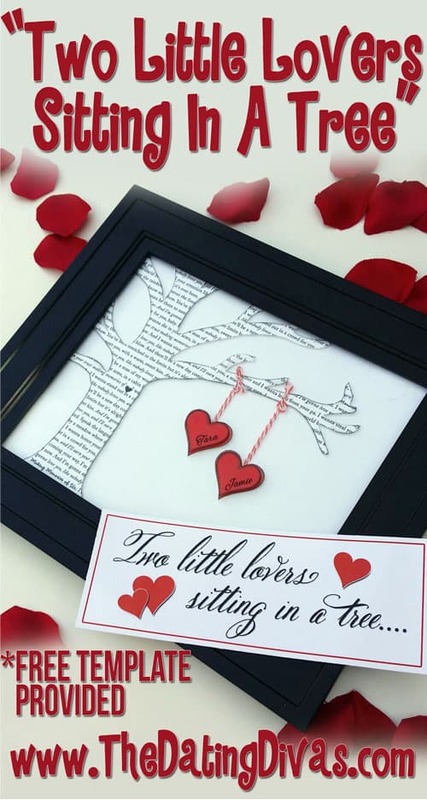 “Two Little Lovers Sitting in a Tree” Decor from The Dating Divas. I adore The Dating Divas site! Nurturing a relationship is SO important, and they provide amazing ideas to keep you on your toes with YOUR significant other! This project is so freakin’ cute! DIY Valentine’s Day Sign from Landeelu. Another absolutely charming site! Don’t forget to check out these ladies’ Pinterest boards too! They are super inspiring! Love, love this Valentine’s Day sign! 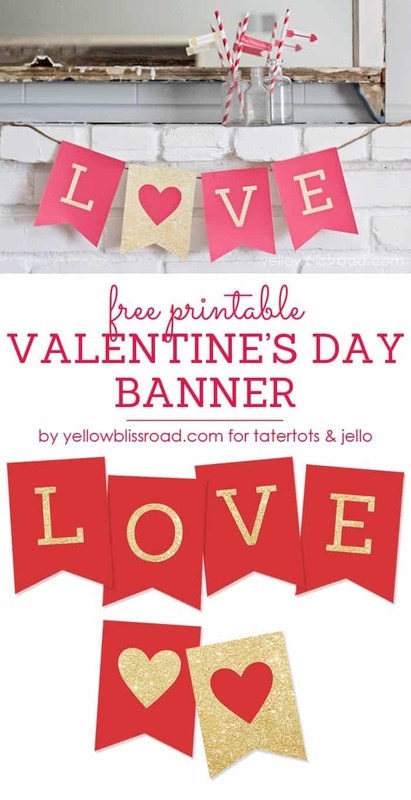 Free Printable Valentine’s Day Banner from TaterTots & Jello. Fun fact – I am eating tater tots for dinner! Coincidence? I think not! How cute is this banner? Makes me want to go to my local craft store right now! 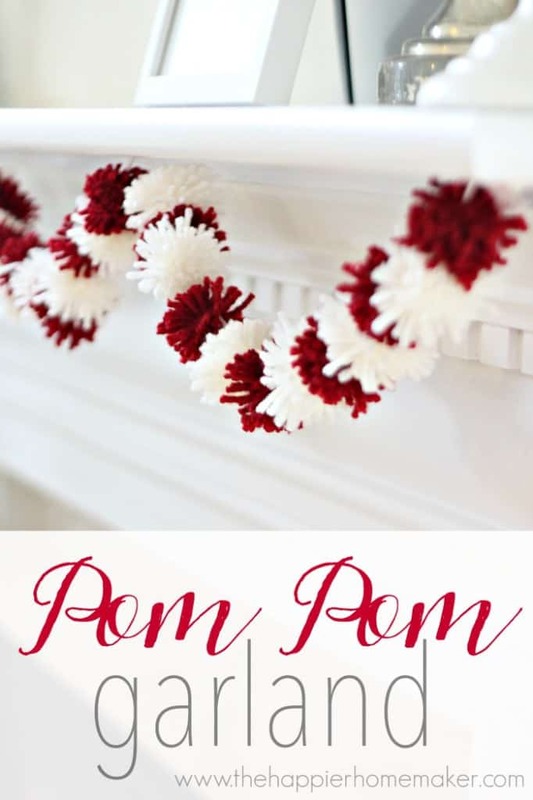 Valentine’s Day Mini Pom Pom Garland from The Happier Homemaker. I’m crazy about this idea! So simple, yet so cute and festive! And, my kids would totally want to help with this one! Easy Valentine’s Day Glitter Sign from Lolly Jane. This particular site really caught my eye. Not only because it’s amazing, but because it’s also written by twin sisters!! These girls do an incredible job, and this is another site that I have made sure not to miss posts from! This glitter sign is just one of many gorgeous DIY projects on their site! 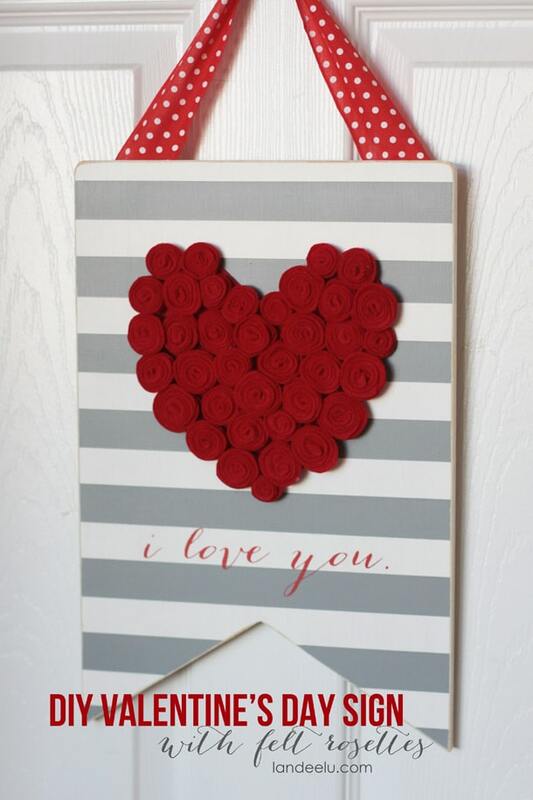 Valentine Craft Ideas – Using Letters for Fun Valentine Decorating Ideas from Jennifer Decorates. You have GOT to check out Jennifer Decorates’ Pinterest boards! Just sayin. They are unbelievably inspiring. And, this project is one of my faves! What do YOU love about Valentine’s Day? Enjoy these ideas, and here’s to a fun, chocolatey, and loving Valentine’s Day!